If you are a big user of Evernote and have an Android Wear device, Evernote for Android Wear is an app to take a look into. 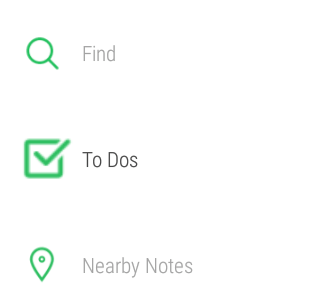 It’s a great way to manage your To Do list while you are on-the-go but also gives you the ability to quickly and easily find notes without having to actually touch your Android phone. While there are plenty of note taking and task management applications available today, one of the best and leading applications is Evernote. It’s multi-platform agnostic and you can get to your notes and to-do’s offline as well as online no matter what device you happen to be using. This now includes your Android Wear device. Evernote for Android Wear is an extension of your Evernote app on your Android phone and allows you to quickly and easily create notes and to-do’s, and find notes be it your most recent or notes that you have created near the location you happen to be in at the time. 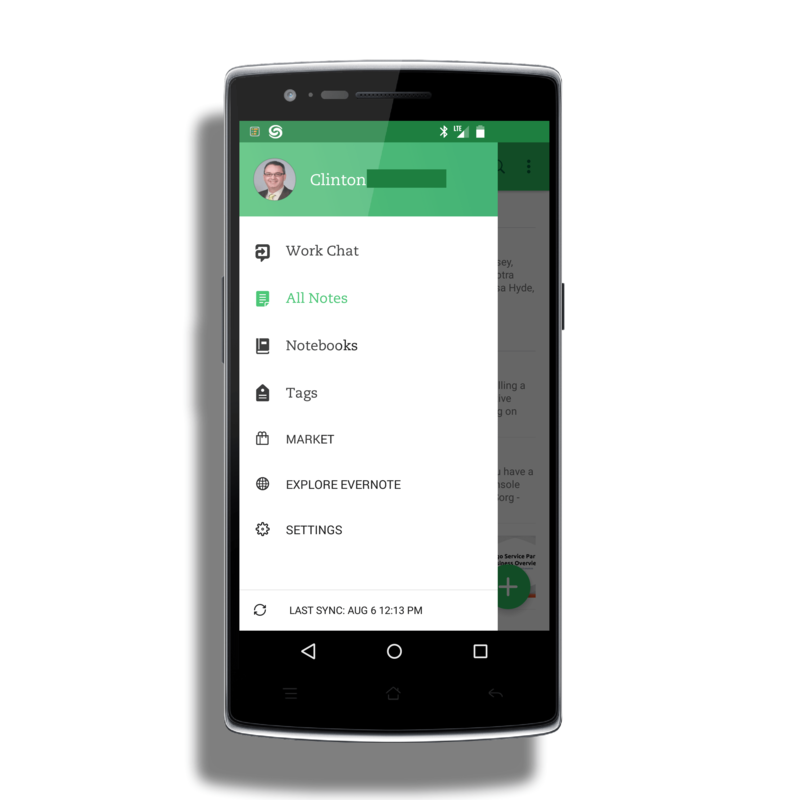 It is also fully integrated with Google Now so you use voice commands to create notes and reminders while on-the-go. If you are an Evernote user (I have been since 2011) and want to be able to get to notes quickly from your Android Wear device without touching your phone, this is the app for you. I’ll start with some assumptions that you probably already know but I’ll cover them anyway. First, you have to have Evernote installed on your Android Phone for Evernote for Android Wear to work. Like all Android Wear apps, this app is an extension of the app on your phone. Second, to be able to search for notes offline, you will need at least a Evernote Plus account ($24.99 per year) or a Premium account ($49.99 per year). You can get more information on the different plans that are available at this link. Installing Evernote for Android Wear is done automatically when you download the app from the Google Play Store. Once you download it to your Android Phone it will be sent to your Android Wear where you will be prompted to install. Tap the notification and it will be installed on your smartwatch. The app supports both round and square faced watches. It takes up about 2MB of storage on your smartwatch so it doesn’t have a huge footprint even for these limited space devices. speaking to find the note. You can search by the name of the note or by tags or even by the text you are looking for in a note. Once it finds that note it will bring it up for you on your device and you can start reading it. In my testing of the app on my Moto 360, I was able to quickly and easily find notes without any issue in the app. I searched for specific company names, people, tags and phrases I knew I had in notes and it was able to pull them up with no problem at all. I did find that the search function can be a bit slow at times but nothing that was horrible or unusable. Perhaps the most useful feature for me in business was the Nearby Notes. If you use locations in Evernote and have them stored as part of your note, the Evernote for Android Wear app will use your location to find notes from when you are in that location previously. This is handy when I go to a remote customer and I can quickly reference them on my wrist without having to pull my phone out of my suit jacket. the store or in another place you need to manage your list. The power of the To Do functionality is really going to depend on how much you use this in Evernote. It is quite powerful for those of you who do (Clinton raises his hand) and can save you from having to actually touch your phone yet stay up-to-date on your tasks. The ability to pull up notes based on your calendar is a powerful feature of Evernote for Android Wear. When you have a meeting on your calendar, you have the ability to see relevant notes to that meeting on your smartwatch. If you have a reoccurring meeting then the notes from the previous meeting will be displayed on your watch. This feature of the app is automatic. When you go into a meeting that you have an Evernote associated with it, it will be displayed on your watch for you to review without having to take your phone out of your pocket. The key thing to keep in mind is that this feature only works with Google Calendar. If you are tying this together with an Exchange calendar, it won’t work. I worked with the great support team over at Evernote (Seth was a rockstar and did a big amount of research) on this and I’m hoping that at some point Exchange support is added for us business users. If you are a big user of Evernote and have an Android Wear device, Evernote for Android Wear is an app to take a look into. It’s a great way to manage your To Do list while you are on-the-go but also gives you the ability to quickly and easily find notes without having to actually touch your Android phone. I found it to be very functional for a smartwatch app and finding my Evernote content without having to get my phone out – especially To Do’s – was easy and frankly fun to use. 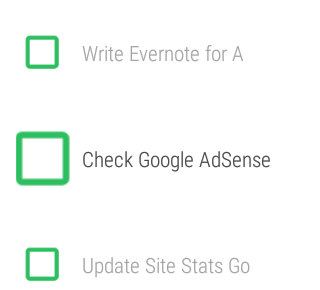 Evernote for Android Wear is a free app and available in the Google Play Store.